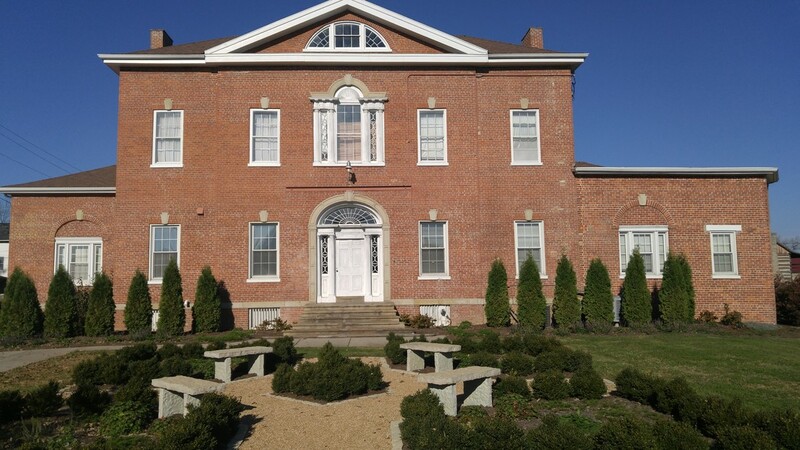 Established in 1984, the Dearborn County Historical Society is the sole repository of historical materials pertaining to all people in all times of Dearborn County’s past. While the Society’s mission is to preserve its collection of artifacts, photographs, documents and research materials for the education of future generations, today’s visitors can enjoy Dearborn County history through the Society’s exhibits, genealogical research assistance, publications and programs. Front door of the Vance-Tousey house. Lawrenceburg, Indiana. Photo by DCHS 2017. Available to purchase at the Dearborn County Historical Society, Lawrenceburg, IN. 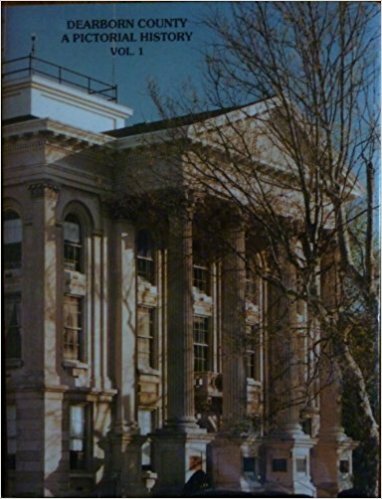 Volume 1 covers 1000 BC-1940 and was published in 1994 by the Dearborn County Historical Society and Robert L. Parker, & Jenny Fehr Co-editors. Copies available while supplies last. For shipping information and fees contact us at 812.537.4075. Parker, Robert L, and Dearborn County Historical Society (Ind.). Pictorial History of Dearborn County. Lawrenceburg, IN: Dearborn County Historical Society , 1994. 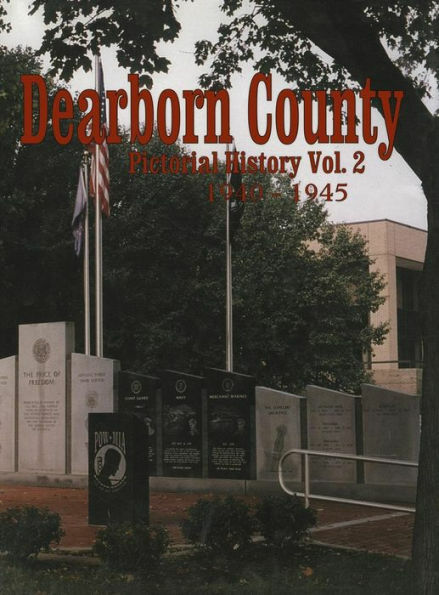 A pictorial history of Dearborn County, IN from 1940-1945 that draws upon the resources of the Aurora and Lawrenceburg newspapers of 1940-1945, the Dearborn County Recorder's office and oral account of veterans and families of veterans, as well as the D-Day Museum in New Orleans, the Air Force Museum at Wright-Patterson Field, and the Patton Tank Museum at Fort Knox. ​Copies available while supplies last. For shipping information and fees contact us at 812.537.4075. 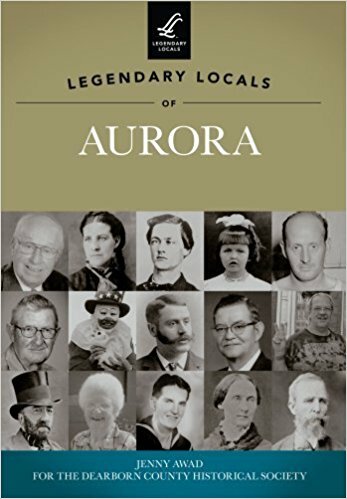 ​Paperback book, published by Jenny Awad and the Dearborn County Historical Society in 2013. 127 pages and includes illustrations.127 pages : illustrations. The Society is located in the historic 1818 Vance-Tousey House, home of Samuel C. Vance, Lawrenceburg’s founder. The house, set apart by its soaring spiral staircase and grand riverfront façade, is considered one of the finest examples of Federal architecture in the State of Indiana. Additionally, the Society is steward to the 1820 Angevine Log Cabin, located in the Society’s Pioneer Homestead across the street.